Learn how to calculate your worth – and why it matters. 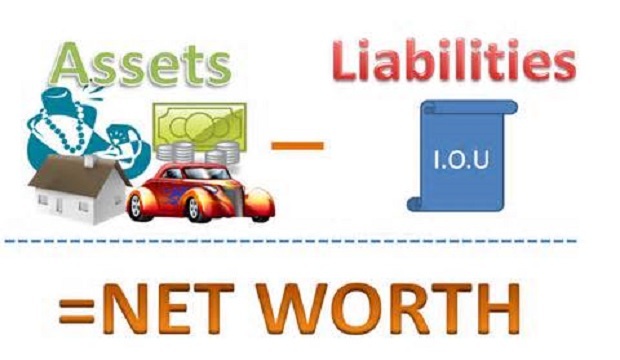 The term “net worth,” put simply, is the total value of your assets after you remove any liabilities. Maybe you associate net worth with the economic standing of famous Hollywood actors, high-profile politicians and successful business leaders. 1. What Is Net Worth? The term “net worth,” put simply, is the total value of your assets after you remove any liabilities. Rather than measuring your salary or what is in your bank account, net worth is the sum total of your savings, the equity in your home and essentially every substantial asset you have after you subtract all of your debt, from credit card balances to student loans to mortgages.